The Performance Rankings were introduced in 2012 as a statistical analysis based on the average numerical score of all cigars assessed on Cigar Coop. It is meant to serve as a barometer in terms of how the cigars were assessed. Today we slice this data by cigar brand, a category we have ranked since 2012. This is not meant to be an award, but a look at how scoring went, and what can we learn from it. The cigar must have its score published during the 2018 Cigar Coop Cigar Year that ran from November 24, 2017, to November 22, 2018. All cigars scored were eligible regardless of release date. 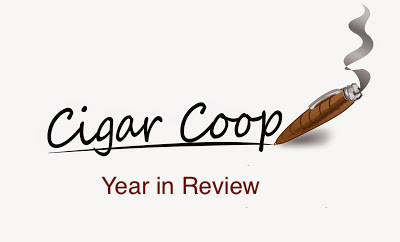 The goal here is to see how the brand performed during the Cigar Coop Cigar Year. A brand or brand grouping must have 5 scored cigars to be eligible. We broke things down by brand as opposed to company. Thus Camacho was separated out as it met the five assessment minimum. While there were no ties, if there had been one, we would have had the manufacturer with more cigars assessed breaking the tie. The top three spots were filled by two up and coming brands and one mainstay. For the past three years, Crux Cigars has made quite an impact on the Cigar Coop Countdown placing a Cigar of the Year in 2016 (Crux du Connoisseur No. 2) and a #2 Cigar of the Year in 2018 (Crux Epicure Robusto). This year, they placed five cigars on the Countdown – good enough to capture the top performance spot in 2018. Southern Cigars, who won the Prime Time Award for Best Small Company in 2017, finished second. Relatively speaking this is a company that has only been around for about five years. While Tatuaje Cigars didn’t land on the Countdown, they had several releases that fell outside the eligibility window that performed quite well and finished in third. It’s Tatuaje’s highest placement since the performance ratings were introduced. For the first time since the inception of the Performance Ratings for Brands, the top performer did not crack the 92 point total. This reflects our overall strategy of making it more difficult to get high scores. The days of a brand getting nearly a 94 point average (La Palina in 2013) are long gone. There were 12 brands that met the minimum five cigar rule. There are no quotas set for how many cigars per brand are reviewed – it just turns out like that. The 12th place doesn’t mean worst brand, it just is the lowest average of those brands that met the minimum criteria. Last year’s top brand performer Bombay Tobak, did not meet the minimum five cigar review. This year there were four cigars reviewed and the average was 92.00 – the same average as when Bombay Tobak captured the 2017 performance spot. The number of brands meeting the five minimum rule continues to decrease. While not by design, at Cigar Coop the goal is to try to assess cigars from a wide range of companies. This is probably more of reflection of reaching a wider range of companies in a similar amount of time. The top three brands (Crux, Southern Draw, Tatuaje) all sell cigars that are exclusively produced in Nicaragua, which led the Country of Origin Performance Rankings, and dominated the Cigar of the Year Countdown this year with 16 entries. Ironically neither of these three brands has its own factory but each has an exclusive manufacturing partner: Crux (Plasencia), Southern Draw (AJ Fernandez), and Tatuaje (My Father).